Breezy In Bloom: First Anniversary! A while back I started doing yoga at work on Fridays at lunch time. 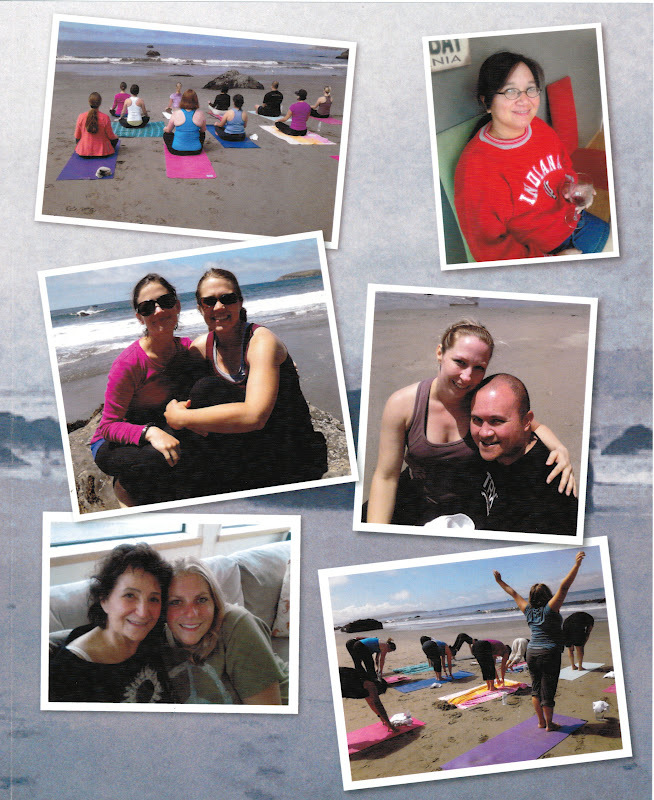 The instructor is super sweet and just the right mix of sass and zen, so when she mentioned she was going to be doing a yoga retreat in Bodega Bay, I was really excited to talk to JB about it. We had been looking for something to do for our anniversary that wouldn't completely break the bank, but would still be a nice weekend getaway. Given the cost of the all-inclusive retreat per person, we decided to go for it. 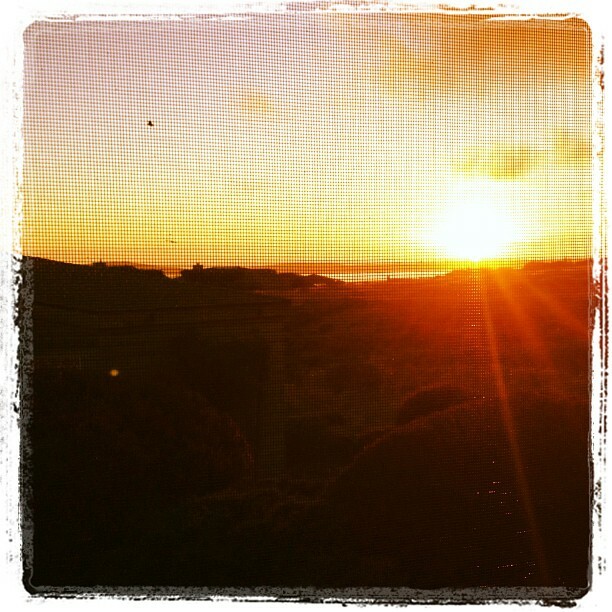 The retreat included accommodations at a beach house in Bodega Bay, 3 days of yoga, all meals/wine, a facial, and a massage. And let me tell you, the cost was LOW for all that. 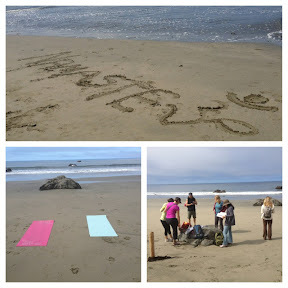 Saturday we hiked to the beach and did yoga on the sand with the waves crashing. It was one of the coolest experiences I have ever had. We had some down time between yoga and our scheduled facials in the evening so we wandered into town to do some exploring. 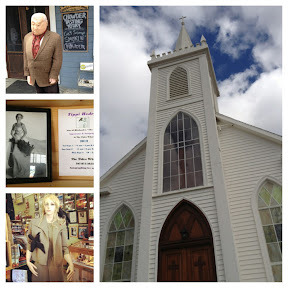 The town of Bodega is where the Alfred Hitchcock movie, "The Birds" was filmed so I took a pic of the church they used and the little general store that had all the cool memorabilia. 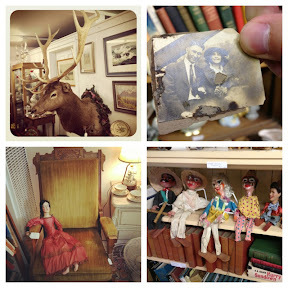 After that we headed into a little antique shop next door...so creepy. 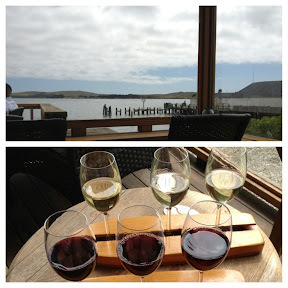 Before we headed back to the house we stopped at this little wine store right on the water and did some wine surfing. We came back to the house to our long awaited facials and some organic wine tasting with paired appetizers. 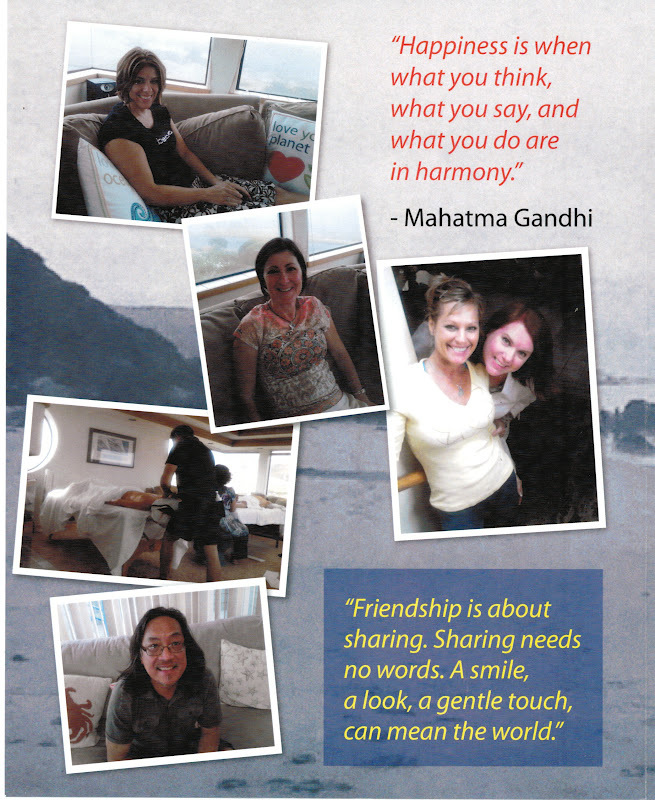 Later we had dinner and then people who had signed up for massages that night, got them. We all thought we were getting 30 minute massages, but since the masseuses got lost and were a few hours late getting there, they gave everyone a full hour. I was going to get mine in the morning since it had gotten so late, but the masseuse offered to bring the table into my room and let me get mine before bed. It was amaze-balls. It had been too long since I had gotten a massage and this guy was GOOD. Val gave us the master suite since it was our honeymoon and we were so grateful. 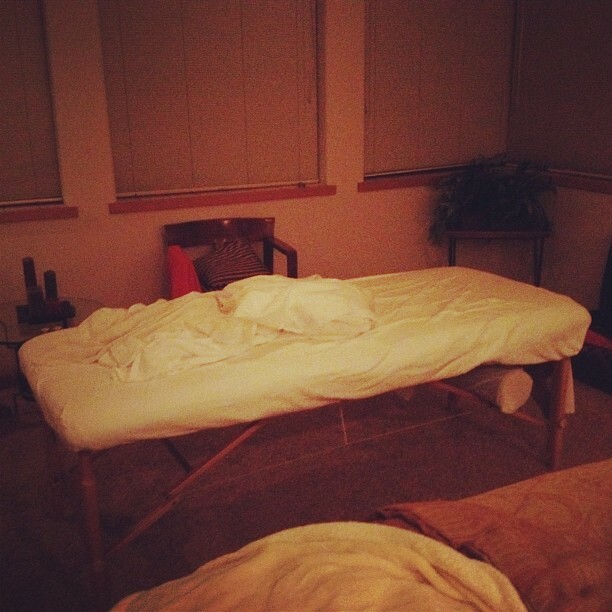 We had our own bedroom and bathroom all weekend and the in-room massage was heaven. We also had views of the other amazing homes in the community and on Saturday night, a beautiful sunset. 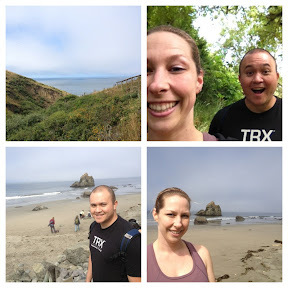 It's a mini scrapbook of our weekend! I only knew JB, a coworker, and Val before we got there. Spending the weekend with a bunch of strangers for your anniversary could go really good or really bad, and I am so glad it was good for us. What a great way to remember our first anniversary! uuggghhh! you talked to me about this! 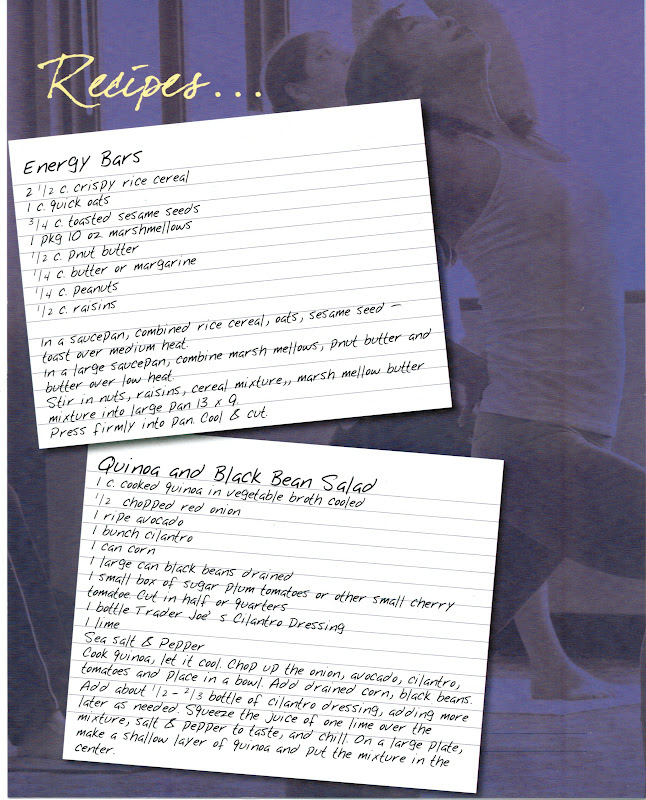 This looks like a VACATION and not a WORKOUT kinda thingy. Amazing. The wine. The beach. I would drink and lay out all day. Never once would I practice this thing you call "yoga."